That's right rock fans. The "Boss" is headed to the Great White Way. Bruce Springsteen, the twenty-time Grammy Award winner will make his Broadway debut this Fall at the Walter Kerr Theatre .And no he is not starring in a revival of Hamlet. Although who wouldn't pay good money to see that? The show, which is officially being called, "Springsteen On Broadway", will begin performances on October 3, with opening night scheduled for October 12. At the time the show was announced, it was only scheduled to run thru November 26. However due to high demand and various issues with scalpers, the show was extended until February 3, 2018. That's three months for those of you keeping count. Now while tickets are available for almost every performance, they are not cheap. Thankfully the theatre is not very big, which means all the seats are good. 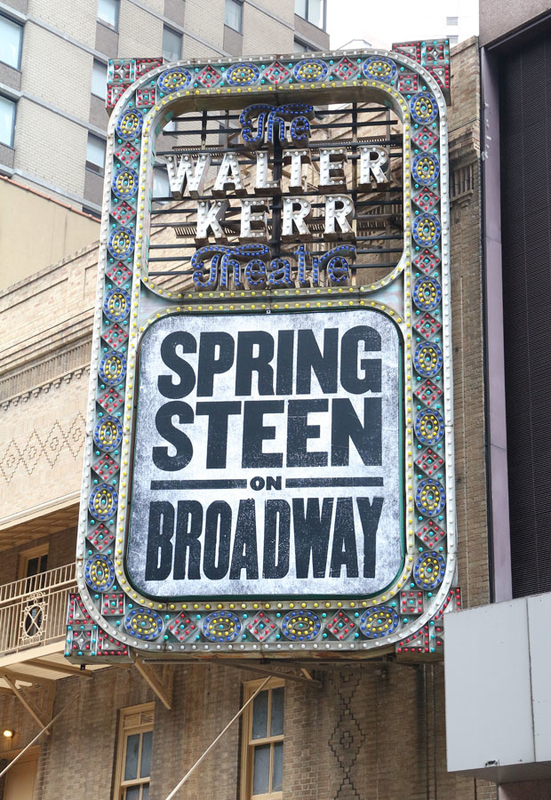 Get your tickets to see Springsteen On Broadway at the Walter Kerr Theatre. Do I smell a Tony in Bruce's future? Stranger things have happened. Until next time rock fans.